I have been around horses for as long as I can remember and got my first pony at only 7 months old. We brought Harvey's Pale Cream (Harvey) from Ashford Market Sales for just £25! He was only one year old when we got him so we grew up together. My mum began the process of backing him and after he kept throwing her of, my Dad's mother (Pam) made a fake human out of potatoe sacks that we put on him until he got used to having something or someone on his back! We soon joined the Pony Club and did many lead rein rallies and competitions, including The Hairy Pony Winter Show and One Day Events at Cornillo Riding Centre. I began to ride Harvey off the lead rein but he wasn't easy thats for sure.....he loved rolling in sand schools and going in the opposite direction to the one I was asking him to, and I have to admit I spent 50%, no wait 90% of my time on the floor!! So in 1997 my Godmother (Jill Steadman) became my first 'owner' and bought Tammy Girl (Tammy) for me to ride. Tammy was donated to Cobbes Meadow Riding for the Disabled Association (R.D.A) and in exchange for us being able to keep Tammy at ours my mum took her to R.D.A every Monday morning for them to ride. I was so excited when I first got Tammy and couldn't wait to take her to her first Pony Club Rally to show everyone my new pony, except when we got there people came over and were saying "please tell me that's not a pony called Tammy?" I was very confused, I thought I had just got a fantastic new pony to ride but it turns out she was known for being rather naughty and ducking out of fences at the very last minute leaving most riders on the floor!! It took us a while to get to know each other but when we had 'gelled' she did everything I asked of her (well almost everything!). We had success after success together, with the Pony Club, with the British Show Jumping Association (B.S.J.A) and on the unaffiliated circuit. We were also selected do do the Mini Major Pair Competition at Olympia in 2003, which is an experience I will never forget. In 2000 my mum thought that I was ready for the next step up, so she brought me a lovely Welsh Mare, 13.2hh called Dawn. All we saw of Dawn before she came to us was pictures as she was based in Scotland. On the day that she arrived, I remember getting of the school bus and running as fast as i could down the road and straight round to the yard, chucking all my school bags down by the back door, to go and see my new pony!! We always knew it was going to be a challenge as Dawn had only done in-hand and ridden showing (up to County Level) but she had never jumped. We started doing lots of pole work which soon turned into jumping and she loved it. I then started taking her to Pony Club lessons and to local competitions gaining some fantastic results including qualifying for the Unaffiliated Show Jumping Championships of Great Britian in 2002. In the summer of 2002 I went to France with my family (as we did every year) and half way through was given the terrible news that Dawn was going to be put down as she had broken her leg. My mum told Clare Fairbanks (my mums friend she was staying with) to get the vet to ckeck her out as she was a HUGE wimp. After many scans and x-rays she was diagnosed with a broken splint bone in her left hind and given 3 months box rest. So i came home from holiday very upset, not only because I was unable to ride Dawn, but because I had not got a pony to take to Wales for the Finals. When we went and picked Dawn up from Clare's she told me that if I wanted to I could take Sox (Diamond Sox) to Wales. Sox belonged to Clare and was ridden by her daughter Bella. So I then came home from Clare's with two in the trailer and a big smile on my face, my only problem being that Sox was 15.3hh!! Slightly bigger than i was used to that's for sure. As soon as I got home we tucked Dawn up into her Stable and gave her lots of treats before tacking up Sox and seeing if i could actually manage to ride her. I felt miles of the ground but had great fun on her and managed to keep control of her to, which is always a bonus! Two weeks later we set of to Wales. Mum had managed to change my entry so that they knew i was now riding Diamond Sox. Wales was my first ever show on Sox but that didn't make me nervous at all. On the first day we were 5th in the morning class and then 2nd in the afternoon class so i was so pleased. On day 2 we came 1st in both the morning class and the afternoon class and we started to build up our fan club which followed me around and watched all of mine and Sox's rounds, cheering every time i jumped a clear which was fantastic. On day 3 we won both classes again qualifying for the final the next day much to our fans clubs excitement! On the final day we jumped 2 beautiful clear rounds in the main ring and did a fantastic jump but unfortunately we wre beaten by a 13.2 showjumping pony that managed a turn that no one else managed. We still came home with lots of rosettes and a lovely rug too. In 2005 I started working for Mrs Marietta Fox-Pitt, William Fox-Pitts mother, at the weekends and in the school Holidays. To start with I was in awe of all her lovely horses and the facilities she had on the Knowlton Estate. I started riding some of the Polo Ponies for Andrew Fox-Pitt before being put onto some of the eventers that Alicia Fox-Pitt (Marietta's daughter) competed. In 2007 I left school and decided to pursue a career in eventing and began working with Mrs Fox-Pitt full time as a Stable Jockey. In July 2007 I was hacking Maybe out locally and doing some canter work up a track when she spooked and jumped a puddle with me that was on a slight incline and she landed awkwardly. I pulled her up straight away as I could tell she was lame on her off fore. When we got her home I cold hosed her leg and covered it in ice intermitently to try and reduce the swelling. One week later I took her to our local veterinary practice to have it scanned. she had put three holes in her Main Flexor Tendon and some smaller wholes in her Superficial Flexor Tendon. She was then given 3 months of box rest and we were told that she probably would never come sound enough to ride again.....I was devastated to say the least!! Where did I go from here...I was only 16 and had no horse to ride and not much money to buy a new one with?! I looked into having a horse from the Retraining Racehorses Society but I wanted one of my own that I could bring on to event. I did hours and hours of research on the computer and found the Ascot Bloodstock Sales and just told my mum that we were going! She spoke to people about the sales and they all advised us not to go.....but we went anyway! I had ordered the catalogue online so we could highlight horses that we wanted to see when we got there. Need less to say that wasn't what happened. We trolled up and down the stables talking to the stable lads and asking for the horses to be brought out of their stable and trotted up so we could see there confirmation and how they moved. We then picked a few that we were then going to follow when we got down to the sales ring, and started bidding on a few but the bids soon went over what I was able to pay. It started getting towards the end of the day and I hadn't managed to buy one yet so went back out to the sales paddock (where they walk around before going into the sales ring) and saw this very pretty looking Mare so I had a look at her history and breeding in the catalogue, she was Best Mates half sister!! I then asked the lad leading her to bring her out so I could have a look at her and watch her trot up. She came out of the paddock and had good confirmation, an incredibly good pair of feet and moved well so we highlighted her as another one to bid on. The only negative for her was that she had a sarcoid on her chest that we were told had been surgically removed and was not going to grow back (little did we know?!). When she came into the sales ring her starting price was just above my limit but nobody was bidding on her and the auctioneer dropped the price down so I bid on her. A few more people bid on her as well so I raised my price and eventually won her!! She started her new life a bit stressed but soon quietened down and began eating her dinner and her haylage, so we left her for the evening and began the process of choosing a name for her. First thing the next morning I gave the new 'Roxie' her breakfast but she wouldn't eat it so mum suggested I tacked her up and took her for a canter round the school (as she was used to going to the gallops before she got her breakfast at the race yard). After this she tucked into her breakfast happy as larry! In the summer of 2008 my mum and I brought a 13.2hh chestnut pony called Tango (ironically) and he was a fantastic ride! We soon made a very good bond together and he began winning most classes he was entered in both one day events and dressage competitions, qualifying for The Pony Club Championships at Intermediate Level. Just before the championships I put him up for sale and had a lot of interest, one lady in particular both mum and I liked but the only problem was that she was based in Yorkshire and thought it would be too longer journey for her daughter. She then tried him at the Pony Club Championships, at Draycott House, a week later and loved him to pieces so brought him from me. Then before I knew it I was preparing for the 2009 event season with Roxie. After some good results and placings in 2008 i decided to start her of at Intro level again just so she has a good run to start the seaon of. She started very well soon progressing up to British Eventing Novice Level at Nurstead Horse Trials in May 2009 and finished 9th Place......not bad for her first Novice! She then went from strength to strength and finished the 2009 season with a good placing in the CIC* at South of England International Horse Trials in September 2009. After all Roxie's good results I had so enjoyed re-training a race horse I decided to buy another to produce to sell. In May 2009 I brought an unbacked, 5 year old, 13.2 Connemara mare called Holly that I was going to back and produce to sell like I had done with Tango, to raise the funds to purchase another thoroughbred. Holly turned out to be a little cracker of a pony, did absolutely everyting, I mean everything that was asked of her by who ever was leading / riding her. I sold her to a lovely family in the East Sussex Pony Club and she is doing fantastically well with them, gaining many top placings across the disciplines. So with the profit I had made on Holly, we were going back to the Ascot Bloodstock Sales! We set of at a very silly hour in the morning yet again, with my catalogue of the horses and ponies that were in the sale. This time i went with a different plan and didn't highlight the ones i wanted to see, i just asked the one I liked the look of to be trotted up once I had spoken to the stable lads and seen their history in the catalogue. I then highlighted a few again and went down to the sales ring, and same as last time I placed a few bids but always got out bid. We went out to the sales paddock to see what was coming up and lets just say we had slight disagreeances over which ones we liked so she went and sat back in the sales ring!! I did see a very nice looking TB mare, she was a good size for me at 15.3hh, and she had a very inquisitive attitude which attracted me to her. She was rather lively in the sales paddock and kept doing these huge fly bucks so the stable lad was unable to bring her out to trot her up so i thought best to pass that one by! I went back into the sales ring, which had filled up now so I had to sit on the other side to my mum. Dress Sense came into the ring (No. 142) and started of at £5,500....which pleased me as i have obviously got a good eye for a horse. She walked round and round.......and round but nobody bid on her and her price was dropped to as low as it is allowed (not very much at all!). I got up had one last look at her, she had clean legs and superb pairs of feet so i placed a bid on her. Moments later the hammer was down and she was mine!!! My mum didn't know who had brought her until the sales man came over to me asking me to sign the form! As most of you know on the 17th February 2010 my life changed forever. I had a horrendous car crash on the Elham Valley road where my fiesta skidded on black ice into a double decker bus...not a good combination!! I had to be stabilised before being airlifted to The Royal London Hospital. Police officers turned up at my house to speak to my mum, she first thought my brother 'David' had done something but when they suggested she sit down for them to talk she knew it wasn't going to be good news........she then had to drive up to London not knowing what she was going to find when she got there (i still have no idea how she did it!!). She kept ringing the hospital to try and find out how i was but they just told her to drive safely and get there as quickly as possible! After 3 weeks i was then taken via ambulance to Kent and Canterbury Hospital where i was going to stay in the Neuro Rehab Unit because of my brain injuries. On arrival they talked to me and because I knew my name etc and could walk, albeit with a slight limb they let me go home for the weekend asking me to return on Monday. I was, well to say happy was a slight understatement, but I was sooooo pleased to be going home. My parents hadn’t told my Nan or my brother and sisters that I was coming home so they were all incredibly pleased to see me, but first place i went to was the yard to see Roxie. As soon as she saw me she called and when I got up to her stable she wrapped her neck around me giving me a huge hug, she was so pleased I was home, as she hadn't eaten for the first week I wasn’t there with her....bless her. I was taken back to Kent & Canterbury Hospital on the Monday and yes I did have to be dragged out to the car kicking and screaming by both my parents, as you can probably tell I didn’t want to go!! On arrival I sat down and spoke to the Manager of the Neuro Rehab Unit and she agreed with my parents that my re-habilitation would be best at home. I was discharged. So with mission 1 accomplished we went back home and it was now to tackle mission 2.....I wasn’t allowed to ride for at least 3 months!! At the end of April mum took me to Kent & Canterbury Hospital for me to have my hip x-rayed and see how it was healing, and they were amazed how well it was healing but still advised me not to ride.....did i listen?? NO! I began riding and soon had my first event entered. Then Roxie injured her back very badly leaving her with 2 months box rest and me with nothing to event. I then decided to start riding Sabrina more seriously and took her Cross-Country schooling which went very well. I then entered her for her first event: the Unafiliated Horse Trials at Chilham Park where she did a beautiful double clear to finish on her dressage score of 37.5 putting her in 5th place. Not a bad start for her but unfortunately results from here weren’t as good. I pushed her, and me, up the levels slightly too quickly, registering her with British Eventing and soon wished i had listened to the Doctors advice and not ridden until my hip had fully recovered, but we all learn from our mistakes don’t we?!? 2010 was not a particularly good year for me and I couldn't have got through it without the huge amount of support I got from my parents, family and friends. I lost some close friends who couldn't understand what had happened to me and how I had changed on the inside but what breaks you makes you stronger! Now on a cheerier note 2011 was a brand new year and a brand new start for me. After taking it easy over the winter and having many physiotherapy appointments to try and sort my hip out I was now ready to get on with the event season. I had got two very talented horses to event, as well as starting to back Milli, my three year old by Mill Law filly. Milli very quickly progressed and was going around the arena in walk, trot and canter under saddle as well as jumping small fences both on the lunge and loose. We had a good year eventing and it was great to be back outeventing properly :) The year wasn't all good though, as some of you may know my parents had a serious house fire which destroyed evething inside but luckily the people in the house managed to get out safely! As the 2011 Event Season ends, and the event horses have a break, I was quite excited about having a bit of spare time after work to concentrate on Milli and, more importantly, do some non-horsey things. That dream was very short lived though............as I was soon busy teaching either Pony Club lessons or private lessons most evenings as well as riding Milli and doing general yard duties. Now Max is working for Bentley, up in Crewe, he is away Monday to Friday so I guess I prefer working with the horses and keeping busy, instead of sitting inside on my own! Roxie and Sabrina are thoroughly enjoying their time off, and keep getting themselves covered in mud on a daily basis, resulting in hours of brushing!! Milli is coming on in leaps and mounds and is happily jumping what ever we put in front of her. After not jumping for a few weeks she did get rather excited when we put jumps up, and on landing after a little cross pole she did the best rodeo bull impression my mum has ever seen which continued around an entire lap of the school resulting in my saddle sliding up onto her neck........luckily our school has trees all around the edge so I used the hedge to help me stop her, and I am very pleased to say that with my neck-strap (which is an essential part of my kit on a young horse....no wait any horse!) I managed to stay on, amazing everybody.....I think they all thought it was going to be a good you've been framed moment!! Anyway back to 2012 and so far the year is going brilliantly, OK I received the bad news that I was being made redundant in May due to the business struggling but I quickly turned this bad news upside down and set up my own business, Welcome SGEventing :) So far I haven't had time to stop and think about what else I could have done, business is going incredibly well. 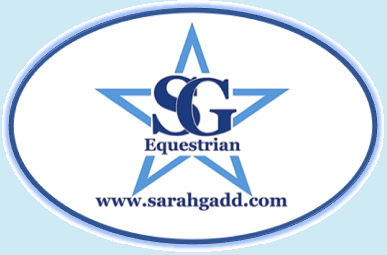 I am doing lots of teaching as well as schooling and producing Clients horses and ponies. Eventing wise, we got very quickly FED UP with the horrible weather, my calendar was telling me it's July but I wasn't so sure?! So many events has been cancelled due to the wet weather :( When we did manage to get out eventing both Roxie and Milli went brilliantly. Milli won her first ever event in May and came 6th in her first Lycetts qualifier in July! Roxie has had top 3 placings in Novice events and was ready to more up to Intermediate mid-season. However the weather continued to muck up or plans and we didn eventually manage to make our Intermediate debut at SofE.....well kind off.....the event was abandonned after dressage and SJ :( We were all gutted but at least were are here to fight another day! We have lots and LOTS planned over the winter months and have already started aout which first events each horse may be doing. Also there may be another eventer (or 2) joining us next year.....EXCITING! !